Here is a picture of the late 1970s: prime minister Indira Gandhi calls on an ailing Sheikh Abdullah at a hospital in Srinagar. He had just been released and had taken over the reins of Jammu and Kashmir after elections. The picture shows Gandhi offering her hand while Sheikh is lying in bed. Yet, the persona of Sheikh, a veteran leader from Nehru’s generation, towered over Indira Gandhi. Here is another image, from Wednesday: Congress general secretary Priyanka Gandhi visiting Bhim Army chief Chandrashekhar Azad in a Meerut hospital. The indisposed dalit activist remained resting in his bed, as Priyanka sat in a chair next to him and her associates stood by. The two images are decades – and generations – apart, but compare them and the contrast in the balance of power between a pair of leaders stands out. The latest one will haunt the Congress party in general and the Nehru-Gandhi family in particular for years to come. The picture bespeaks eloquently about the desperation in the Congress to revive the moribund social support for the party in the country’s most populous state, Uttar Pradesh. In the Congress’s assessment, Chandrashekhar Azad is a foil to Bahujan Samaj Party (BSP) and its supremo Mayawati. That a member of the first family of the Congress chose to meet Azad, a young leader with not so formidable credentials is a seminal signal of the dynasty’s decline. The assumption that Azad and his motley crew can substitute Mayawati and the BSP in Uttar Pradesh politics is patently erroneous on many counts. Before the BSP came to symbolise dalit assertion in the state, it had done groundwork on a mammoth scale. The formation of various dalit bodies like Dalit Shoshit Samaj Sangharsh Samiti (DS4) and the All India Backward and Minority Communities Employees Federation (BAMCEF) was a formidable exercise of organisation building much before the BSP came into full existence. Of course, Kanshi Ram, a visionary leader, was the brain behind these exercises that laid the foundation of a strong dalit political force. Azad, at best, can be seen as a rabble-rouser in the state’s context, not a serious political contender. Priyanka’s visit will no doubt give legitimacy to him but it would thoroughly erode her credibility. At the same time, such a visual would bring all efforts of the Congress to win over the upper castes to a nought. In the state, the Congress was essentially seen as a party of Brahmins which form a sizeable chunk of the electorate at nearly 11 percent. 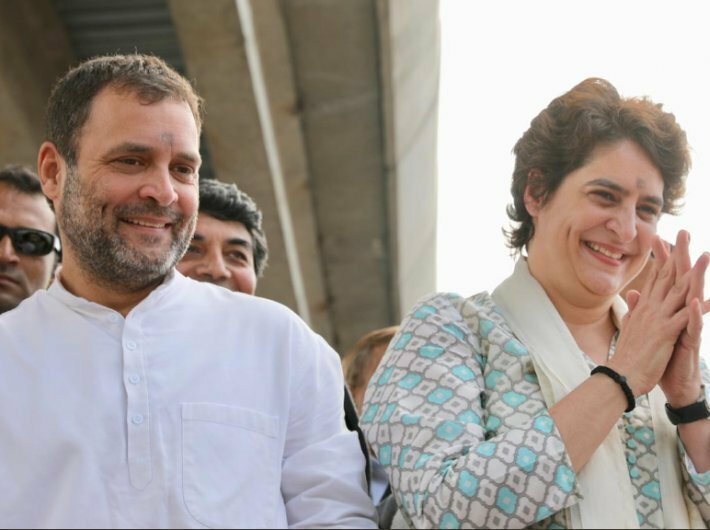 Imagine Priyanka calling on Mayawati or Mulayam Singh Yadav, with sufficient deference to their age and stature, and the equation would have been different. It would have been quite similar to Indira Gandhi calling on ailing Sheikh Abdullah. But Priyanka’s photo with Azad is a poor strategy by all reckoning. Perhaps a novice in politics, Priyanka may not be aware of how powerful an image can be in influencing the course of political history. Her father Rajiv Gandhi snubbed the then Andhra Pradesh chief T Anjaiah at Hyderabad airport – and it led to the creation of a formidable anti-Congress force under the leadership of NT Rama Rao. The Congress decimation in Uttar Pradesh was preceded by successive humiliation and marginalisation of chief ministers like Sripati Mishra, ND Tiwari and Bir Bahadur Singh in the 1980s and 90s by the members of the Dynasty. In those times, Sanjay Gandhi and subsequently Rajiv Gandhi could get away with this cockiness because of the party’s undisputed dominance over the polity. In today’s times, the situation has completely changed. In Uttar Pradesh, the Congress has been reduced to the margins of the state’s politics, probably competing with sub-regional parties in terms of the support base. No doubt, the Congress still retains a group of highly committed workers on the ground who can mobilise people in its favour. Similarly, there are enough follies committed by the BJP that may force a significant section of voters to look for an alternative at the national level. The Congress obviously then fits the bill. But the party appears to be lacking singularly in evolving a coherent strategy to pose even a challenge to its rivals like BJP and the SP-BSP combine. The Grand Old Party of India seems to be surrendering much before the game has actually begun. If there is any doubt, a cursory glance at the picture of Priyanka standing by the side of a resting Azad would set it at rest.